Solange Knowles performing at the Field Day Festival in Victoria Park, east London. Singer Solange has released her fourth studio album, the anticipated follow-up to 2016’s A Seat At The Table. The 19-track collection, entitled When I Get Home, was an instant hit on social media, and credited artists including Pharrell Williams, Gucci Mane, Tyler The Creator, and Panda Bear. Knowles released a teaser video on social media on February 27, and shared the track listing on February 28, with the album dropping on March 1. Fans took to Twitter to compliment the release, with one user describing the jazz-inspired songs “as a pillow of continuous reassurance”. The release coincided with the end of Black History Month in the US, and the beginning of Women’s History Month worldwide. Prior to the album’s release, Solange teased the new record by taking over the website BlackPlanet. 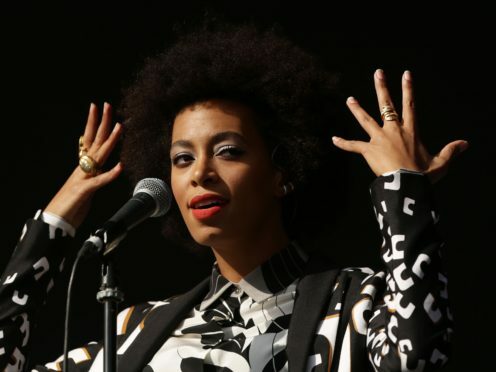 Social media users praised the inclusion of several artists on the album alongside Solange’s own performance and production. Solange really has a knack for seamlessly blending trap artists on jazzy, ethereal, neo-soul tracks. Her previous record, A Seat At The Table, became Solange’s first number one album in the United States. This made her and Beyonce the first sisters to have both had US number one albums in a calendar year. omg why is solange’s music flawless? Solange is billed to be one of the headliners at this year’s Coachella Festival, alongside Childish Gambino and Ariana Grande. The singer will be performing on Saturday April 13 and Saturday April 20.